Assess patient health problems and needs, develop and implement nursing care plans, and maintain medical records. Administer nursing care to ill, injured, convalescent, or disabled patients. May advise patients on health maintenance and disease prevention or provide case management. Licensing or registration required. Includes Clinical Nurse Specialists. Excludes "Nurse Anesthetists" (29-1151), "Nurse Midwives" (29-1161), and "Nurse Practitioners" (29-1171). Caroline Porter Thomas - Helping others improve their skills and interest in nursing. Many times people glorify travel nursing like it's the best thing ever(which it is awesome). However, people fail to talk about the negative aspects of it, and how it really affects your lifestyle as a whole. In this video, we will go over 5 common pro's and 5 common con's you can prepare to expect once you become...a TravelER! What is travel #nursing? Why travel #nurse? #Travelnurse requirements. 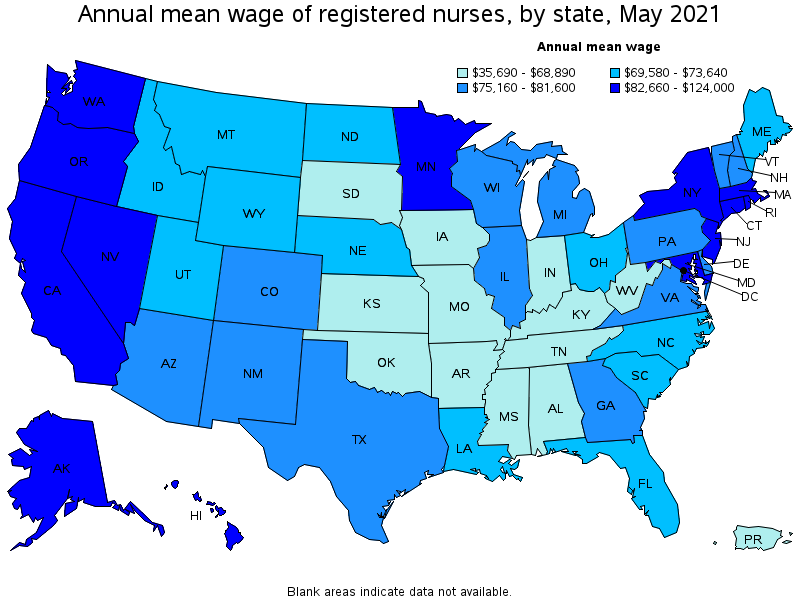 How much do travel nurses really make? First aspect of housing. 10 tips to help you get the assignment you desire. You may know where you want to travel to, but how do you make sure you get the assignment over someone else? How do you get the perks that you want? When is the best time to go on an assignment? Check out this video to hear the answers to these questions, and more! Not sure if you can be a travel nurse? In this video, we will go over 10 characteristics that make for a successful travel nurse. Hey guys, in this video I discuss the following: When should you take the stipend VS when you shouldn't? Travel Nurse Pay-The breakdown of it. How to find your own housing and different housing options. I hope you find this information helpful. When choosing an agency, it's important to start off by knowing your needs, before you can expect your needs to be met. This video will cover: bigger, more popular agencies, smaller agencies, the difference between the two, and which is best for you. Real contract examples. The travel nurse contract is by far one of the most important components of your assignment. It will determine your pay, housing, and how things will actually play out once you get there. In this video, we will go over real contracts, and talk about the things you should look for BEFORE signing your travel nurse contract. How to obtain nursing licensure in different states, what to pack, and how to get ready to start your new assignment! How exciting! I'll also share with you some personal obstacles and mistakes I came accross when I first embarked upon my travel nursing journey! Filing taxes, drive or fly, keeping housing, going with friends, and other topics to consider when starting your travel nurse assignment. Can you work on an additional degree while traveling? How to be intentional with your nursing career. What did I do during my nursing journey? With traveling comes different cultures. With different cultures comes different languages, foods, and a variety of illnesses. How will you deal with the diversity of co workers, work environments (hospitals), and patients. Find out how in this short video! Are you interested in becoming an ER Nurse? In this video, I will talk about the tasks that ER Nurses do, as well as the different characteristics I believe a successful ER Nurse should have. Which steps should you be taking as of right now to help pave the way for your future as a travel nurse? Find out in this short video. Let's be real, guys. Nursing school is HARD! Watch my video to find out why nursing school is so difficult. In this video I talk about how to deal with inappropriate patients or visitors in a professional manner while protecting your safety! Tips and skills you will need to survive #nursing #school. Sharing my experience on a very important topic. Sharing my personal story, what I have learned on how to obtain #funds (#scholarships #grants #loans etc) for #nursing #school. The first day of nursing clinicals can be scary and nerve-wracking. See how my first day of nursing clinicals went. We all faces those times where we question whether or not being a nurse is worth it. Here is some motivation to keep you pushing forward through the challenges. Tips for interviewing for nursing positions. Taking good notes in nursing school is critical. Without good notes, how can you prepare for nursing exams? Sometimes it is so difficult to feel like a "real" nurse when you are so new to the field! Should you #work while in #nursing #school? Wanting to start looking for a nursing job before graduation? Watch this video to hear my experience and tips you should take. Answering some questions from my subscribers. Happy Thanksgiving! Heres some insights about working during the holidays for those interested in Nursing. Interested in being a nurse? Learn about the essentials in this video, so you can better pursue nursing. Today I would like to talk about the qualities of a good nurse? How you can be a good nurse. I have found throughout my years as a nurse that one of the greatest characteristics of a good nurse is calmness. So when everything is going crazy, when your phone is ringing off the hook, when you have 7 important things to do RIGHT NOW... how will you be a good nurse?... a calm nurse? My answer to this is so simple, please do not overlook its importance. But it is to incorporate Breathing into your every movement: walking down the halls, picking up the phone, changing your sweet patient. For my nursing students this is my number 1 piece of advice for you too! How to become a good nurse starts with how to become a good nursing student! Before you start studying, every time your turn a page in your book, every class you walk to. Take a deep breath and be thankful for this opportunity to become a nurse... the hard work to become a nurse is worth it. Keep it up! Thank you so much for watching and reading this video. If you are concerned you may not know enough or are afraid of your ability to be a nurse, this video can help give you guidance. I am Caroline Porter Thomas and created this video for Marion who asked "Can you make a video about nursing students who have had part time jobs and still excelled in nursing school." I love how you are intelligently approaching the nursing education process and evaluating whether or not this is something that a working adult could feasibly do! While I did not work, I did go to school with many nursing students who worked. While it is not ideal there were a few things that I noticed about the students who worked and were successful. This is a list of the Traits: 1. They had very clearly outlined goals and they were super excited about what they were working towards. 2. They ate relatively healthy and skipped all of the big group lunches with classmates... as I did too. 3. They said "No" a lot. To anything that would take them further away from their goals. 4. They surrounded themselves with Driven and Positive people. 5. They utilized every second wisely.... I remember one very driven student would keep his head in the book when everyone else was socializing during a class break. 6. They had a lot of FAITH!!! That they were doing what they were supposed to be doing, that they would be given the tools necessary to succeed and that their future was going to be much better. It is possible to work and go to nursing school, yes, but you have to be 20 times more focused for sure! Another thing that I saw which I forgot to mention was that it did help if they had a job which did allow at least some time to glance through their book or notes. Jobs like security guards who site at monitor screens or Telemetry technicians or maybe secretary work at a place that is not super duper busy would be great! I did see quite a few nursing students work as CNA's and although I do think that you will get some great experience, you will most of the time never be able to glance at ANYTHING!!! Of course depending where and when you work. I did see a lot of CNA's work the night shift, which did allow about an hour or 2 from the hours of 2am to 4am. So if you can handle it that could be a good option for you! So, if you do have to work... don't let that stop you!! You can still do it!! When do you know that you should give up? This is a hard question and one that you really have to look deep down within and ask what is the right thing for your and your family. As hard as it is, I would venture to say that 99.9999999... % of the time that quitting is not the right answer. Here are some jobs that have helped me develop important skills I believe will benefit any nursing student. Here is a nursing skills video showing you the steps to start an IV. Is it a good idea to be in a relationship while in nursing school? In this video I'm going to give you a few tips on how I approach difficult situations & make the most of them. I will also share how I detach emotionally, so that no matter what, I feel good knowing that I did my absolute best to handle the situation. Since I am an agency nurse & float from unit to unit, hospital to hospital, I can honestly tell you that both positive & negative culture units can be found in every hospital & every type of nursing specialty. It does not seem to be limited to one area of the hospital. There is a lot of negativity working in a hospital. My goal is to help create more ways we can stay positive on the job. Tips for High School Students Who Want to be Nurses! Preparing for your future starts in high school. The harder you study now.... The more doors will be open to you! Answering a user's question about my daily routine.